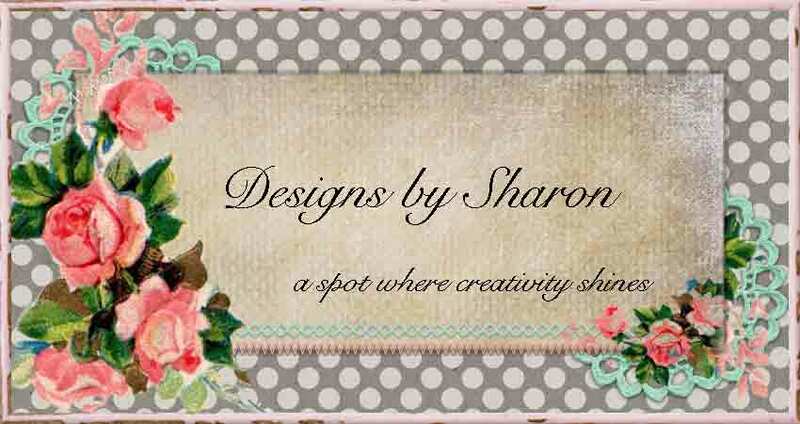 Designs by Sharon: Life is Good . . .
Life is Good in the Country. Wow. That pretty much says it all! Life is good out here. There is a peace, a calm, but also a workable energy. 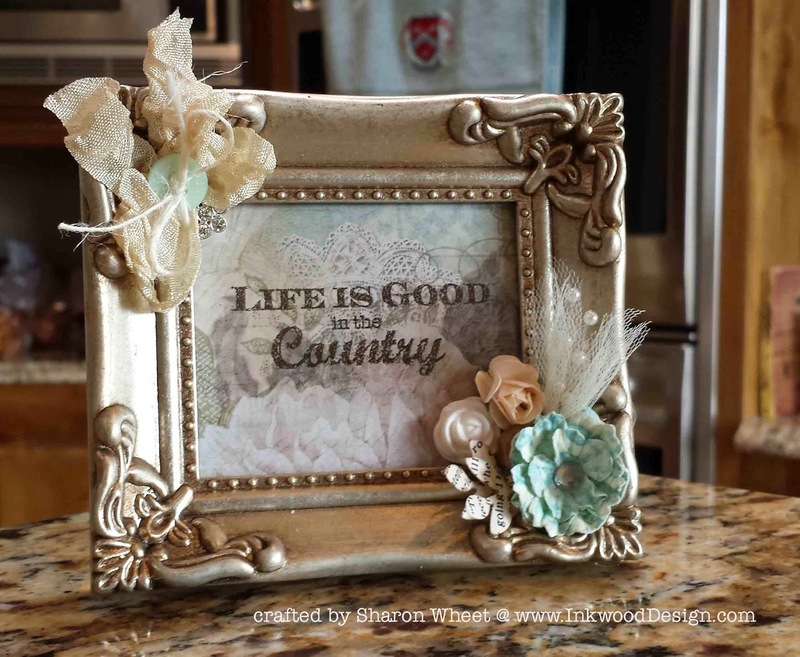 I created a little framed sentiment today. I used some pretty paper from Prima Marketing. And then I added embellishments from my stash. I'm still working with what I have, and not purchasing any new stuff with family money (another new year's resolution). I had a scrap of the Prima paper sitting on my craft table, and I thought the abstract images were the perfect back drop to my sentiment. The frame I had left over from last year. I made quite a few pin cushion frames, and this one hadn't been converted yet. 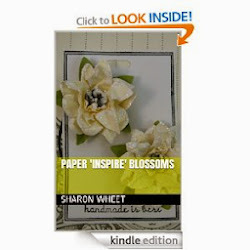 I used some seam binding, a vintage button, a clay rose, a tulle spray and a few paper blossoms. The sentiment I heat embossed, with an espresso colored embossing powder. I really like how it turned out. Sweetly simple! This item will be for sale at the Spring Craft Fair in Albuquerque, New Mexico, later this month (March 15th). I'm still trying to get the permits settled to sell some cupcakes. Hope to see you there!